This guide outlines the positions of Montana’s 2017 U.S. Congressional candidates. For printable PDF version and other guides, see candidate guides. Gianforte: Yes. Has been a strong financial supporter of anti-abortion organizations. Quist: No. Believes women should make their own healthcare decisions. Budget: Support President Trump’s budget that would transfer money from domestic programs to the military budget? Gianforte: Position unclear but criticizes Quist for wanting to cut defense spending. Wicks: Top priority is reducing the debt and curtailing government spending in general, but doesn’t address Trump budget per se. Campaign Finance: Increase restrictions on campaign donations, including requiring disclosure of political contributions and overturning Citizens United Supreme Court decision that allows unlimited independent political expenditures by corporations and unions? Gianforte: Previously stated support for election transparency, but donated significantly to groups opposing MT Disclose Act. No support for overturning Citizens United. Quist: Yes. Supports constitutional amendment to overturn Citizen’s United. Wicks: Has not developed a full position, but questions many of the numbers associated with climate change and does not see it as a major concern. Climate Change: Should government limit the levels of greenhouse gasses in the atmosphere? Do you support Clean Power Plan, which mandates reductions in carbon emissions at power plants? Gianforte: No. Believes regulations will hurt MT jobs. Specifically opposed Obama EPA rulings as federal overreach & applauded Trump’s ending the Clean Power Plan. Quist: Supported Clean Power Plan. Supports “clean coal” technologies, but also having wind turbines use power lines…. of existing coal plants like Colstrip. Education: Support increasing funding for K-12 education? Gianforte: Unclear. Focus has been on making public funding available for religious & private schools & for training students in computer science and in trades. 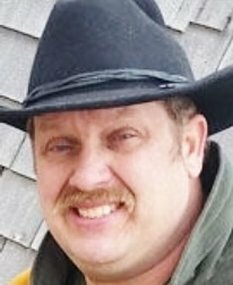 Quist: Supports Senator Jon Tester’s proposal for financial incentives for teachers to work in rural or reservation schools. Wicks: No public statements found. Education: Provide vouchers to parents to send their children to private schools with public money? Gianforte: Yes. Strong supporter of helping children attend religious or private schools with vouchers or tax credits, though with some limits in rural areas. Quist: No. Opposes attempts to take funding away from public schools. Gay Marriage: Support gay marriage & related LGBT issues? Gianforte: Supports nondiscrimination for employees but not for customers. Lobbied against Bozeman LGBT nondiscrimination ordinance in 2014. Financial supporter of anti-gay marriage groups. Quist: Yes. Believes everyone has a right to marry whoever they choose. Gianforte: No. Considers gun rights to be absolute & opposes any infringement on them. Healthcare: Repeal the Affordable Care Act, also known as Obamacare? Support initial Republican replacement proposal, called the American Health Care Act? Wicks: Repeal Obamacare. Believes parts of it are unconstitutional. But keep Medicare and Medicaid. Healthcare: Should Planned Parenthood receive public funds for non-abortion health services? Immigration: Support efforts to ban immigration from Muslim-majority countries and limit refugees? Gianforte: Medical yes, recreational no. Quist: Legalize both medical and recreational. Wicks: Legalize both medical and recreational. Minimum Wage: Raise the federal minimum wage? Wicks: Unknown, but likely would oppose it as federal mandate. 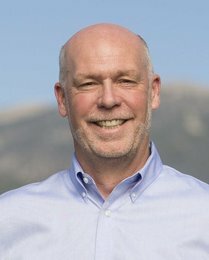 Gianforte: Strong support for MT fossil fuel industries. Mentions renewable energy, but advocacy is focused on supporting fossil fuel jobs. Quist: Yes. Supports transition to renewables, but also invest in ”clean coal.” Subsidize solar & wind development, explore biomass & geothermal sources. Student Debt: How to address student debt? Gianforte: Unclear. Advocates private donations to higher education. Quist: Supports legislation to streamline student loan process & cap interest rates at maximum of 3%. Gianforte: No. Pledged to oppose ”any or all” tax increases to raise revenue. Favors cutting business & personal taxes to reduce size of government. 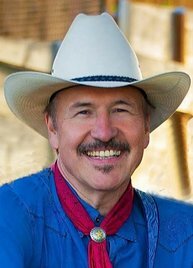 Quist: Prioritize tax reform by closing loopholes for corporations & support small businesses, workers, & families. Created by the Campus Election Engagement Project, a non-partisan effort to help colleges and universities engage their schools in elections. Answers drawn from public candidate statements.